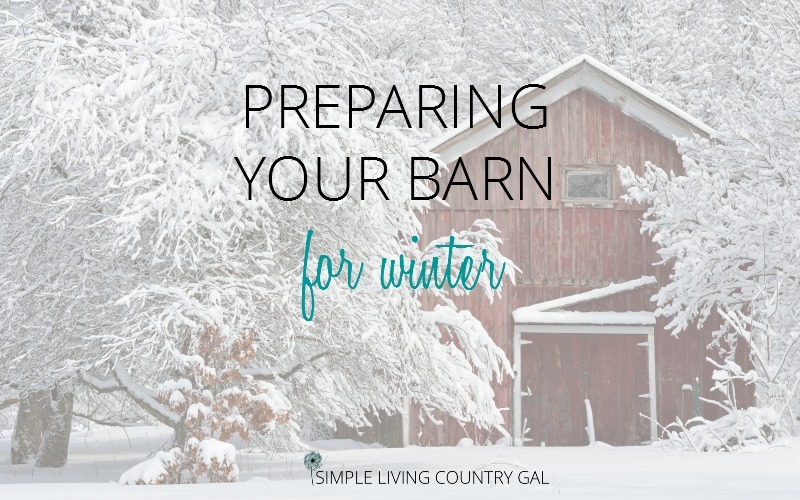 How To Prepare Your Barn For Winter. 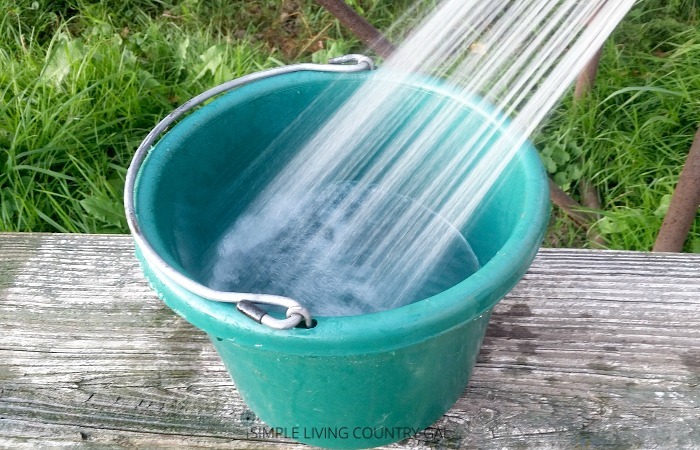 If you raise animals on your homestead, barn cleaning and preparing their homes for cooler weather should be on your fall checklist. Whether you live in a cooler climate or not, setting up a schedule dependent on the seasons is a good way to make sure it all gets done. 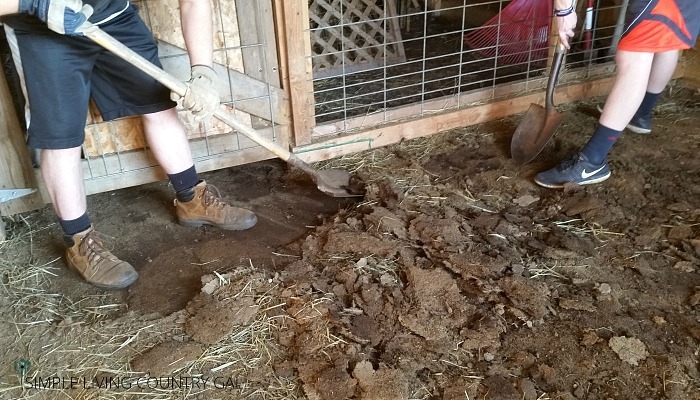 Barns, pens and all shelters should have a thorough clean out every spring and fall. This will keep animal pests such as lice and mites to a minimum not to mention worm outbreaks and illness. A clean dust free shelter is one of the keys to healthy animals. 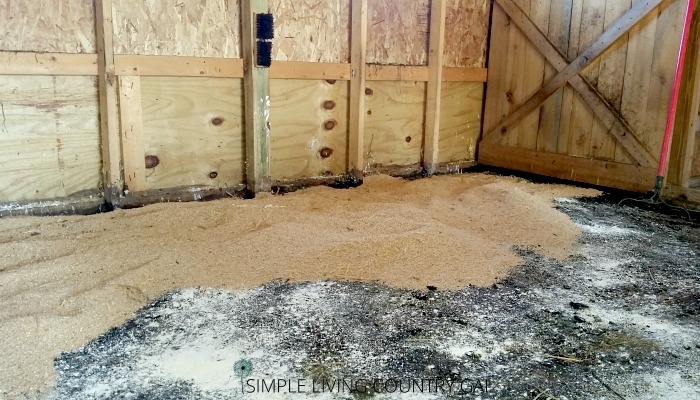 As with any large chore such as barn clean out, it is so much easier to break things down into steps. This will help you cover all aspects of clean out and give you a more thorough job in shorter time. Tip: Cleaning out shelters is a big job, I’m not gonna lie. I would enlist help in advance. Since I am older, this is crucial to things getting done right. My boy’s give me a barn clean out at least once a year as a Birthday gift. Hey…don’t roll your eyes, best gift EVER! Remember to pick a warm and sunny day!! Step #1 Gather your supplies. 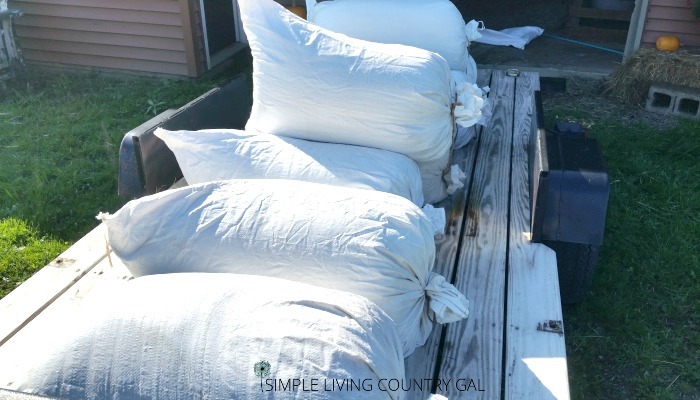 A good rake, several straight edge shovels, a few wheelbarrows or a tractor, lime or food grade diatomaceous earth, and bedding to put down when you are done. 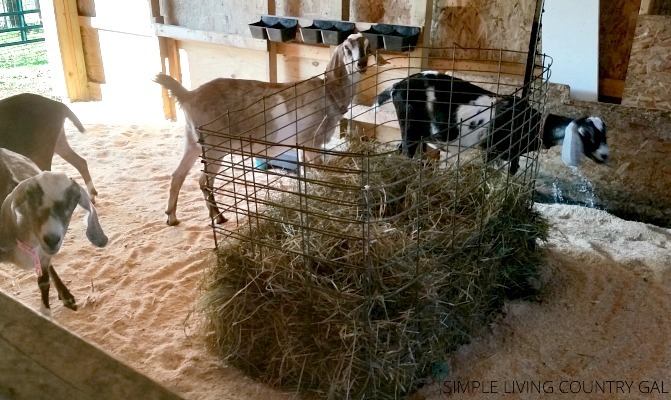 We use sawdust, but hay or wood chips can also work well. Don’t forget to also have gloves and face masks or bandanas. Trust me, the smell will be a bit, well, intense. Step #3 Remove all feeding dishes, mineral bowls, water bowls. Give them a thorough scrub with water/bleach mixture. Let dry in the sun to further sterilize. Step #4 Knock down any cobwebs or old bee hives. Clean off ledges and shelves especially if they have mouse or bird droppings on them. A good strong brush or paint scraper will do the trick. You may also want to do a quick once over for any mice nests as well. You want your shelter to be perfect for your animals and not any others. Mice, birds and other rodents can carry pests and diseases you simply do not want in your livestock. Step # 5 Clean out hay bins. Empty out your hay bins and remove of you can. Get the old hay at the bottom so you can start fresh after things are done. 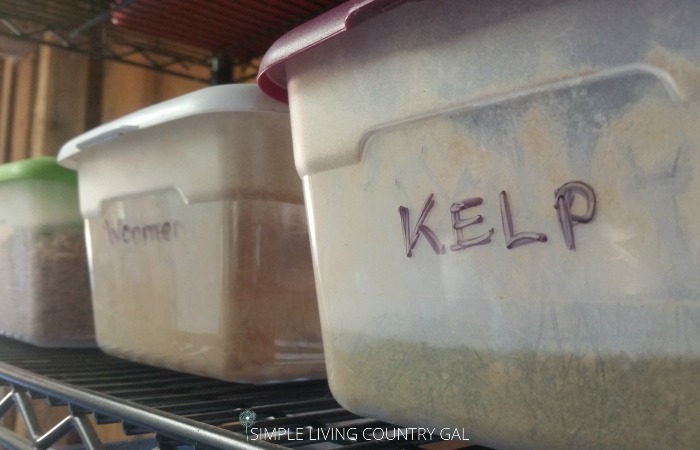 Toss all of this in your compost bin or use in nesting boxes for your chickens. Step #6 Call in the troops. Whether you have a dirt floor, wood or concrete this part is hard on the back. If you are older like me, help is required so don’t be afraid to ask. Step #7 Shovel it all out. Using a straight edged shovel, get it all out. 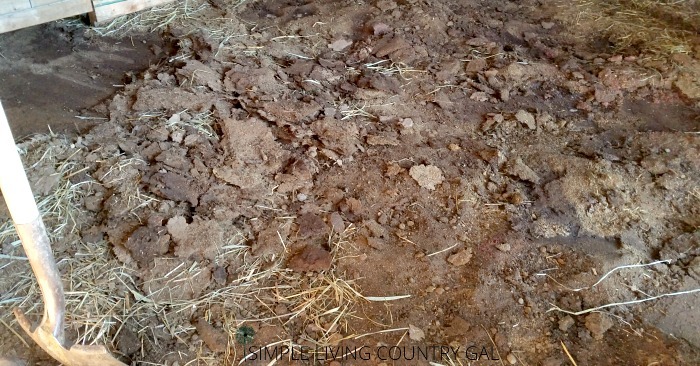 If you house on a dirt floor you will need to go down to the main surface to ensure you get all the debris. Urine and constant walking/laying can compact that ground down pretty tight so your first few shovels will be hard. Once you determine where your bottom layer is it will be easier going from there. I start in the middle and chisel things down until I hit ground. I then make a large circle so my help knows how deep they need to go. If you clean out annually, this will be a good 5-8 inches depending on how many animals are in an area. Step #8 Compost that black gold! This is one of the perks of cleaning out your shelters. That sold compacted bedding is AWESOME for any gardener. Put that off to the side in your compost bin so you can put it right into your garden when you are ready. Step #9 Deodorize. Once you have all the bedding and debris out the smell will still be pretty strong. I would sprinkle on a light layer of lime or food grade diatomaceous earth. This is not only cut the smell it will also deter any pests. Remember to wear a face mask and gloves when using either and do not let your animals back in for a bit if you choose to use lime. Step #10 Fresh bedding. Some of you may skip this part, but I do not. Nothing deodorizes things more than a fresh layer of sawdust. Plus, my goats just love it! We have wood, concrete and dirt floors in our shelters and sawdust works well with all three. Step #11 Return feed bowls. 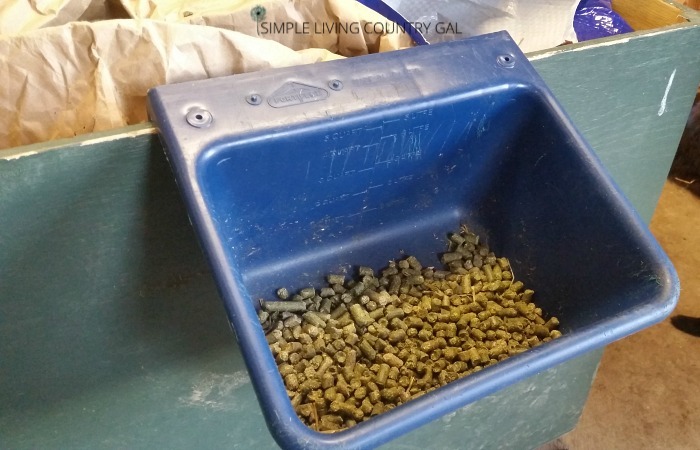 Your feed and water bowls should all be cleaned so now is the time to put them back in. I would take a minute and look at your set up to ensure it is still working for you and your animals. Now is the time to move things or rearrange before your gang in back in. Step #12 Add free minerals. I also like to give fresh minerals, baking soda, salt and kelp. This will make sure every thing is off to a clean and fresh start. Step #13 Add fresh hay. If you removed your hay feeders return them now and put in some fresh hay. Step #14 Let them back in! I just love this part. My gang is quite comical when they first come in. Walking all over and checking things out. They are like little kids. When it comes to the care of animals prevention is key. Nothing deters illness more than a clean shelter free of dust, old bedding, and feces. A difficult chore, but a necessary one if you want to ensure a healthy and happy herd. 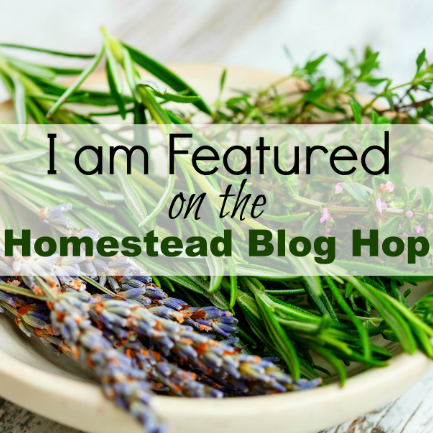 You can find this post and so much more over at my favorite Blog Hop!! « 10 Simple Ways To Declutter Your Home Right Now.